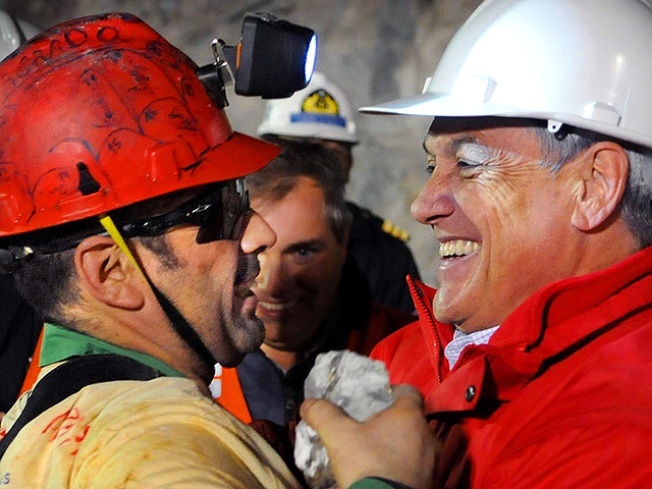 Miners in Chile emerge like clockwork, jubilantly embracing wives, children and rescuers and looking remarkably composed Wednesday after languishing for 69 days in the depths of a mine that easily could have been their tomb. As of 9 a.m., 15 men have been pulled out in the rescue operation in the Chilean desert. Get updates and or live video of the rescue.